Settle any debate of who brought the best party dish with this alluring Alligator Glass Platter from Arthur Court. 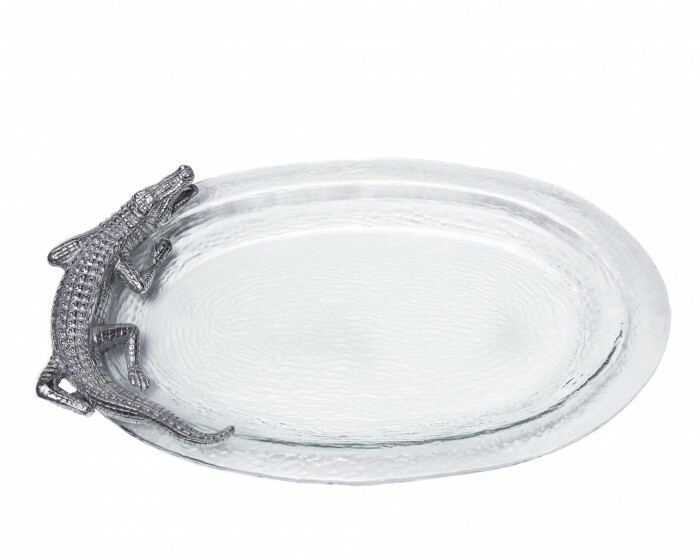 A handmade, aluminum alligator patrols the left edge of this platter as it surveys who is brave enough to take its food. The reptile's rough, patterned skin reflects a brilliant luster against the clear glass. Size: Length: 20.0 / Width: 11.5"